Do you need a remanufactured final drive for a Bobcat T300 Compact Track Loader? Are you looking for these parts? Find your Bobcat T300 Compact Track Loader Final Drive Motor here! We have high-quality remanufactured final drives and travel motors that are on the shelf, ready to ship to you as soon as possible. Our certified in-house technicians know the inner workings of every hydraulic component we sell and service. We utilize the knowledge gained from thousands of rebuilds to provide you with ultimate in quality, service and care. We offer an industry first a 1-year warranty on all our remanufactured final drives and stand firmly behind it. 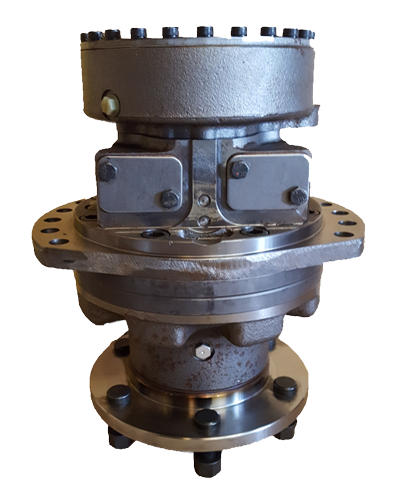 In fact, we remanufacture final drives for several large OEMs. This is a reman replacement for Bobcat T300 travel motors, and we have both the short nose and long nose drives. The final drive includes the motor assembly and planetary gears. It is made in Italy by Comer Industries, just like your original final drive. This final drive includes a 1-year warranty. The oil is already installed in the planetary housing, you can reuse your existing sprocket, and the drive will come to you ready to be installed on your machine.